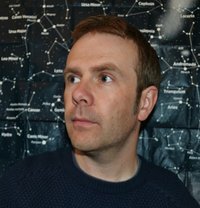 Andrew Michael Hurley has lived in Manchester and London, and is now based in Lancashire. The Loney, his debut novel - was first published in October 2014 by Tartarus Press, a tiny independent publisher based in Yorkshire, as a 300-copy limited-edition. It won the Costa First Novel Award 2015 and went on to be named Debut of the Year and Overall Book of the Year at the British Book Industry Awards in May 2016. 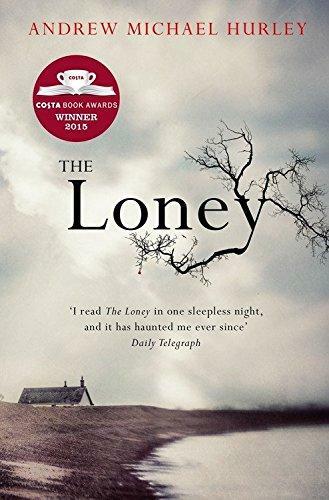 An atmospheric literary horror story, set largely on a bleak stretch of northern coast - the Loney - it charts the strange pilgrimage to a local shrine, instigated by the narrator Smith's mother 'Mummer', of an ill assorted group, hoping to find a cure for her other son Hanny's mutism and learning difficulties. The tension builds as members of the group fall out, the locals behave oddly and a secret room is unveiled at the house where they are staying. Smith and Hanny soon find themselves embroiled in a situation beyond their comprehension, but one that will change both their lives forever. In his new book, Devil's Day, John Pentecost returns to the farm where he grew up to help gather the sheep down from the moors for the winter. Very little changes in the Endlands, but this year, his grandfather - the Gaffer - has died and John's new wife, Katherine, is accompanying him for the first time. As the annual celebration of Devil's Day fast approaches, John increasingly feels the pull of the land, while Kat is disturbed by the superstition and strange ways of the villagers and their secrets. Exclusively for Foyles, Frances Gertler talked to Andrew about how 'the wild' is part of who were are, when the needs of a community take precedence over that of an individual and how his love of nature and the desire to write have become a necessary part of living. Below that, in another exclusive interview for Foyles by Frances, we chatted to Andrew about the journey from independent to mainstream publisher, the frailty of faith and how what lingers in the shadows is much worse than what you can see. In some rural communities the 30th October was often thought of as Devil’s Day; was yours based on a specific way of marking the occasion? 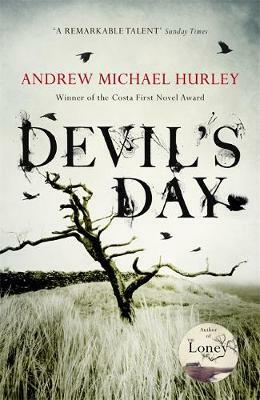 I was aware of ‘Devil’s Night’ being an American tradition that roughly corresponded to the British ‘Mischief Night’ which takes place on that date, though in the novel ‘Devil’s Day’ has a specific meaning for the farmers. It is a tradition that stems from a local folk tale in which the Devil disguises himself among the sheep on the moors and comes down into the valley to cause havoc by spreading disease and summoning a deadly blizzard. Each year after that, to prevent this happening again, the farmers lure the Devil down off the moors the day before the sheep are gathered, get him drunk and put him to sleep on the fire until the flock is safely in the bye-field. One of the things I was interested in writing about was the way in which the meaning of rituals changes over time and how the symbols associated with them recall the intimate relationship we once had with the land. Like lambing and harvest time, the end of October is one of those moments in the Endlands calendar where the farmers are beholden to nature’s capriciousness. In the transition from autumn to winter, light to dark, there’s an unpredictability and unease. It’s a time of change that has ancient roots and was marked by the Celts as Samhain, when the dead returned and the spirits of the natural world were appeased in order to ensure the survival of the livestock. This anxiety remains deeply rooted in the farmers of the Endlands and is manifested in the figure of the Devil, who has transformed over the years from a literal entity to a metaphor for those things they fear the most: disease and the weather. He embodies all that can go wrong. But for one night, the Endlanders can at least pretend that they have some control. John is drawn back to the farm and sees it as his inevitable destiny almost in spite of himself. Can you relate to this feeling of the pull of the land? Very much so, and in many ways the novel was born from trying to understand what that pull was. Alone in a wild, remote place there are obvious and immediate pleasures: the space, the light, the air, but there are other feelings that aren’t as easy to account for. There’s a sense of freedom, and of adjusted priorities. Material concerns can certainly be very quickly substituted for and dwarfed by meteorological ones. Silence can allow for a clarity of thought. Finding a path of one’s own – getting somewhere by ingenuity and guile – can be empowering. So can getting lost. In his essay, Walking, Thoreau says that entering the wilderness is an act of forgetting one world and awakening in another, and in doing so the individual is transformed, or, more accurately, they find out who they are. That sounds like new-age guff but it’s hard to fully articulate urges and sensations or what is just known. There’s a line from George Monbiot’s book, Feral, that I think about quite often. 'I wanted only to satisfy my craving for a richer, rawer life than I had recently lived,' he says of his yearning to escape suburban torpor, and I know exactly what he means. The feeling of being on high mountains or alone on the moors is addictive because for all the danger and unpredictability of ‘the wild’, there is a sense that it’s part of who we are. As a species we’ve spent thousands of years cultivating the land, raising animals on it, eating from it, worshipping it. Even though we don’t necessarily understand the natural world it’s not true to say that we are entirely separate from it. The book is very visceral, about seeing and not-seeing, what is hidden and what is revealed; overpowering smells that may signify evil; ominous sounds only partly heard… do you think we have to consciously tune ourselves in to what is beneath the surface or can it impose itself unbidden? The valley in the novel is well-mapped and names have been given to quite specific features like riverbends, cloughs, fields and paths. Even in the depths of Sullom Wood, John gets to know the waterfall down in the Greenhollow, as he calls it, with great intimacy as he imagines himself as an otter. But he is only ever playing. He can’t ever know what it’s like to be anything other than human. He can’t grasp what Gerard Manley Hopkins might have referred to as the thisness of the creature. And that’s a feeling that’s repeated again and again in the novel. The farmers are attuned to the land and the animals but only to a certain extent. They can still be caught out by what remains hidden from them, and that’s their predicament, always. They cannot hope to tame the environment on which they rely for their survival; something which becomes more apparent the further out onto the moors they go. Unlike the valley, many of the features beyond the sheep pastures have no names at all and so without meaningful language as a guide there are fewer points of reference. The sameness of the landscape and the anonymity makes for an unsettling place. Sounds move strangely, the land itself seems to shift. John is at times strikingly disloyal to Kat, who is pregnant, discomfited and far beyond her comfort zone, and yet he defends the farmers’ unwavering loyalty to each other, despite her objections. Is there ever a case for loyalty before legality? It depends on whose judgement you value. Which legal system is more meaningful. Outsiders do not understand the Endlands, so who are they to administer justice or censure the farmers? Loyalty is an important sentiment in the novel and developed into one of the sources of horror, I think, as John became more sinister and far more zealous about the Endlands than I’d expected. But it makes sense for him to be so. With the death of the Gaffer, the Endlands is in a transitional state and John sees it as his duty to stabilise the place by raising his child there. Once that obligation has become lodged in his psyche, there is nothing that Kat can do about it. Her needs are not as important as the needs of the community, however disturbing they might be. The farm families live insular lives, bound together by custom, marriage and secrets in a way that feels not altogether healthy. And yet there is a sense that a breach in their defensive walls would cause them all to come tumbling down. How far do you sympathise with this view? Insular communities are always fragile, but as long as there are enough people to repeat and believe in certain stories about their own specialness, resilience, autonomy, past oppressions and glorious futures then they will survive. Those kinds of myths are the tickets on which Trump was elected and the reasons we’re leaving the EU. They’re perfectly hollow yet incredibly persuasive for anyone seeking protection and security in the tribe. But the idea of finding one’s identity in tribalism or nationalism fills me with dread. As with religious faith, it requires a surrender to fiction dressed up as truth. In the Endlands this is the notion that the farms are somehow immune to the influences of the outside world. Arncliffe’s mill down in the village of Underclough might have come unstuck because of war and globalisation, but the farms will continue. And if they don’t, then it’s not because the myth is false but because of a lack of faith in the ideology. A kind of punishment for treachery. A ruin brought on by the individual not the system. As with your last book, you choose not to explain every mystery, in this case, Grace in particular remains an enigma. Do you always know from the outset where the seat of mystery will be strongest? In The Loney, I knew from the early stages how the story would end and where the mystery would lie, but with Devil’s Day, Grace appeared quite late on in the writing process. I felt as though the Devil (or whatever force he represents) ought to have more of a presence in the story, that he ought to live inside one of the characters, and not just remain a figure in stories and songs. Your last book was as much about faith as superstition, whereas formal religion gets barely a look-in amongst this community. Were you consciously trying to move away from religion as a theme, having explored it in The Loney, or were there other reasons for this? After writing The Loney, I felt as though I’d said all that I wanted to say at that time about faith. But The Loney and Devil’s Day are books that speak to one another, I think, and there are some definite parallels between the pilgrims and the farmers. They both look after themselves first. There is an unwavering loyalty to an idea or a promise. Both novels are about the desire to find certainty and purpose and the sacrifices required to achieve them – not least the act of self-delusion, which on one hand is a forgivable response to a complex world but on the other grants permission to all kinds of horror. Devil’s Day has some truly striking and beautiful imagery, I loved ‘the slow unzipping of the water’ as a rat swims across a pond. How deep is the connection between your love of nature and the desire to write? The two things must be very deeply connected as they appeal to similar needs and their absences produce similar anxieties. When I can’t get out walking or can’t find time to write, then I feel the same agitation. They have both become a necessary part of living. What gave you the idea for the book? And what came first, the landscape, the characters or something else? I suppose there were two main starting points for the novel. The first was to write a kind of dark version of the Nativity (quite where that came from I’m not sure!) and exploring ideas of faith and belief. The second was inspired by various wild, lonely places on the north west coast of Lancashire. They are certainly beautiful in many ways but there’s a presence too - a sense of imminent menace or dormant power lying just under the sand and the water that I wanted to try and write about. They seemed like the kinds of places where superstition would still be strong, where time hadn’t moved on very much, and so I began to think about how older beliefs, rooted in nature, and Christian faith might interact. Can you describe the journey to getting published, first by Tartarus Press and now by Hodder? When I’d finished writing The Loney I wasn’t entirely sure what it was – whether it was a horror novel or whether it was literary fiction and so it wasn’t clear where I should send it to. I tried a few small publishers and agents but didn’t get any further than a polite ‘no’. I found Tartarus really by researching publishers on the Internet. I liked what they what they did and the authors they reissued and out of all the publishers I’d looked at they seemed to be the most open to what I’d written. I sent the manuscript off to Rosalie Parker and Ray Russell at Tartarus and they agreed to publish the novel in October 2014 with an initial run of 300 hardbacks. Over the autumn last year, The Loney received some great reviews but it was a write up in The Sunday Telegraph around Christmas time that really sent the novel off on a new trajectory. Mark Richards of John Murray had been reading a copy of the novel when the review appeared and so he got in touch in January and offered to buy the rights, with a view to republishing the novel for a wider audience. Of course, I said yes! The two experiences have been, naturally, very different but it’s been really interesting to see how diversely people think of the book. Many of those who buy Tartarus’s novels are fans of classic horror and sci-fi. John Murray’s approach has been to push the literary element of the novel. It’s been a constant surprise to me how the novel spans genre and literary fiction. Mummer’s faith is dependent on ritual and method. How much of her brand of Roman Catholicism, her unquestioning adherence to doctrine, is a function of the times? There is both compassion and cynicism in your portrayal of Roman Catholicism, and faith turns out to offer only a hollow kind of victory. In light of your story, is faith still a more comfortable place to reside than not? Mummer seems cold and uncaring towards her sons. Does she want Hanny to be healed more as a sign of grace than out of genuine love or concern for him? Mummer was a really interesting character to write because it was never clear – even to me – quite how she felt about her two sons. Perhaps it’s largely because we never really see ‘her’. All she ever thinks about and talks about is Hanny’s cure. She is really only a mouthpiece for Father Wilfred’s hardline Catholicism. I think that she embodies to a large extent what I was trying to say about the frailty of faith. So much is pinned on Hanny being cured that it’s no wonder that Mummer feels as though she has to adhere to so much ritual and dogma. She certainly seems to have more feelings for Hanny than the narrator, but Hanny’s cure does seem more of a means to an end rather than an act of compassion. To have him healed would be proof of God’s existence and although, strictly speaking, faith shouldn’t require proof at all the fact that Mummer needs it shows how fragile she feels her beliefs to be. Only a miracle will suffice. And it’s that desperation that causes Father Bernard to pity her. Is faith a comfortable place to reside? For some, yes, undoubtedly. I was brought up in a Roman Catholic family and certainly for my grandparents’ generation, who lived through the war, faith and religion offered them a seemingly uncomplicated framework to live by. They weren’t simple people and they didn’t live simple lives but I think morally, emotionally, their faith was enough. There was never any debate about it, no anxiety, and I can see how, for them, there was a great comfort in giving themselves completely to God. I think it comes down to whether you feel that religion forms a protective, instructive wall around you or whether it feels more like a prison. In the novel, it is very much the latter – certainly in Mummer’s case – although none of the pilgrims can really see it. Perhaps, ironically, only Father Bernard really understands that they are all trapped by a fear they have created themselves. It might be a bit of a cliché to say that religion is responsible for many of the world’s evils but it is unquestionably true. And as well as the supernatural element in the novel much of the horror comes from the fact that religion encourages and permits Mummer to act in quite a brutal, unforgiving way to Hanny. Blinkered certainty – whether it’s of religious belief, political belief, moral belief is a kind of madness. It’s a novel of dualities: two houses, two priests, two versions of faith and healing, and so on. How much of this existed from the outset and how much became apparent as you went along? I’d like to say that I’d planned all these clever parallels, but they really became apparent as I explored the themes and the characters. They did seem to emerge quite organically, though, as the whole novel is really about the clash of different beliefs, whether it’s Roman Catholicism and paganism or Father Wilfred’s fire and brimstone and Father Bernard’s humanism. You leave to the imagination the precise details of what happened to some of the characters, including the pregnant girl and the boys themselves, building the horror with atmosphere and suggestion. How did you work out exactly how much information would be the right amount? I might be answering the next question as well here, but I think because I started off as a short story writer I had an idea of how to write economically. And I don’t think it’s a bad way to approach ‘horror’ either. The most unsettling stories are those in which the horror is seen indirectly. The creepiest films are never slasher movies but ones with an unspecified menace that’s perhaps only revealed at the very end, if at all. And even then perhaps without any real explanation of its intent. I’m thinking of The Blair Witch Project, Rosemary’s Baby, Don’t Look Now. Those kinds of films. A lot of M R James and Robert Aickman stories work in the same sort of way. It’s primal fear. What lingers in the shadows is much worse than what you can see. So I suppose that when I felt as though I was letting the reader ‘see’ too much then I found a way of making it more oblique. But it’s a fine balance between giving too much away and losing the suspense. You’ve previously written short stories. Did you see these as ‘warm-ups’ for a longer book, and did you know that your first novel would be a kind of supernatural or horror story? I think I was always going to have a go at writing a novel, but I didn’t really think of my short fiction as a warm-up as such. They weren’t simply a means to an end or throw-away in that sense, but I’m convinced that working within that form taught me how to write with economy and clarity and even when I’m writing a novel I’m thinking with a short story writer’s brain. One of the joys and frustrations of writing is finding exactly the right words. In answer to the second question, no, I hadn’t particularly planned for my first novel to be a supernatural story as such but I guess that it was inevitable, given the initial idea that I had, that it would sit somewhere within that genre. I wasn’t all that conscious at the time of writing of pushing any boundaries of genre - my sole motivation was just to write a good story. Which writers have left the deepest impression on you? As I say, I still have a short story writer’s head on me and so I’m still in awe of writers like Ernest Hemingway, John Updike, Raymond Carver, Alice Munro, John Cheever, James Salter, Harold Brodkey. I think that short stories often linger with me more than novels, because they can be held in the mind as complete things. In terms of novelists, I would have to put Hardy up towards the top of the list and the rest would be a mixed bag of people like Jim Crace, David Peace, Susan Hill, Shirley Jackson, Daphne du Maurier, Cormac McCarthy. Having written them down, I can see that all of them deal with quite dark subject matter! I’m also a huge admirer of non-fiction writers such as Robert Macfarlane, Roger Deakin, Nan Shepherd, Richard Mabey for their ability to describe nature in such a beautiful vivid way and were hugely inspirational while I was writing The Loney.